During the brief arctic summer, most male shorebirds arrive on partially thawed tundra breeding grounds where they perform elaborate courtship displays and vocalizations. 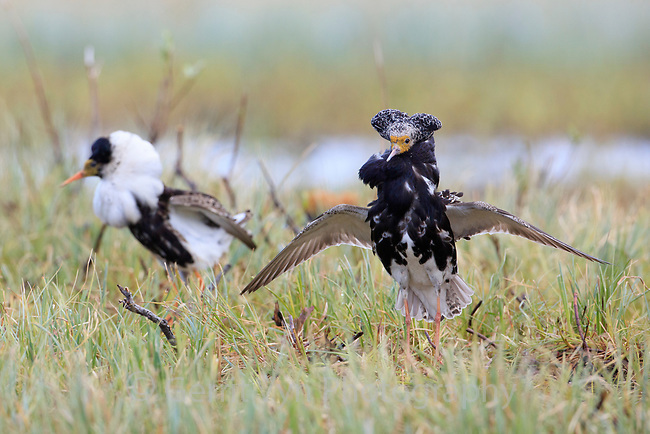 None are more spectacular or unique than the lek mating sysytem employed by the Ruff (Philomachus pugnax). Norway. June.